We’ve had a little snap of Indian summer this weekend and I still have lots of tomatoes ripening on my window sill. 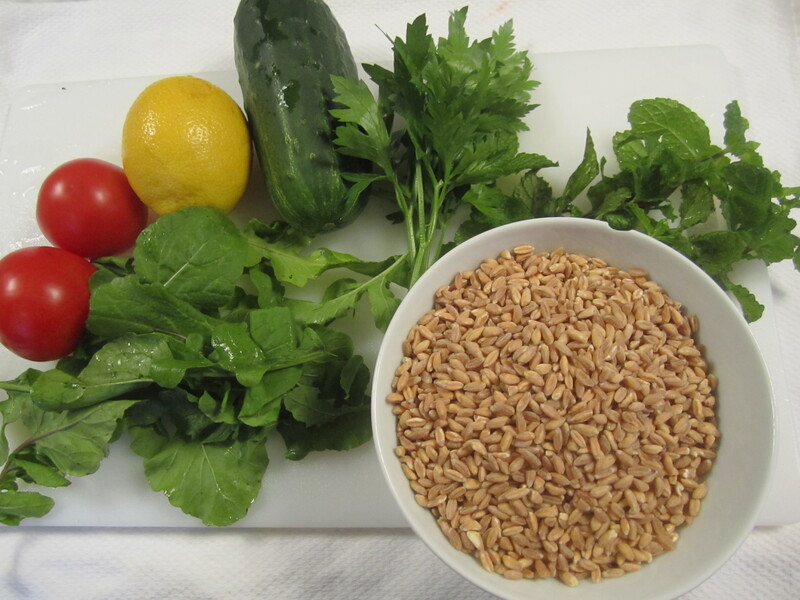 I’ve discovered that this middle-eastern dish works just as well with farro as it does with bulghur wheat. 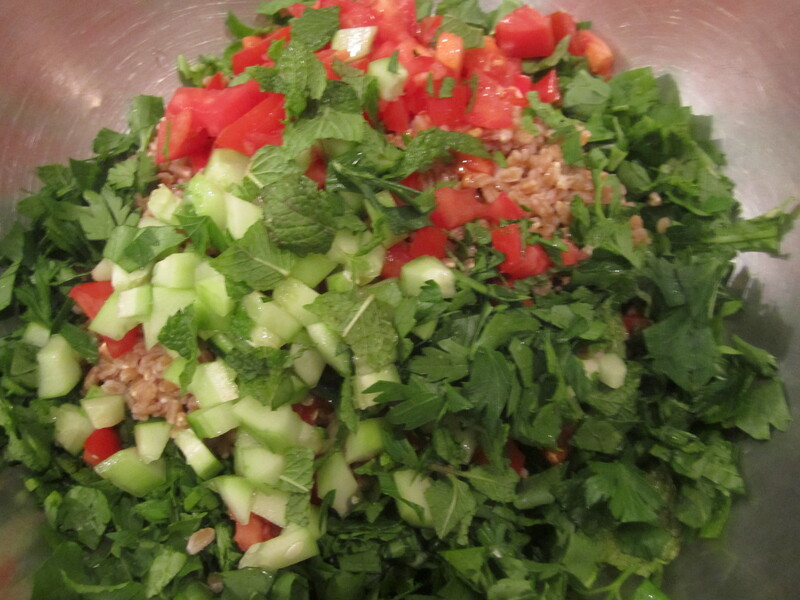 I like to make my tabbouleh extra-green–as much a salad as a grain dish. 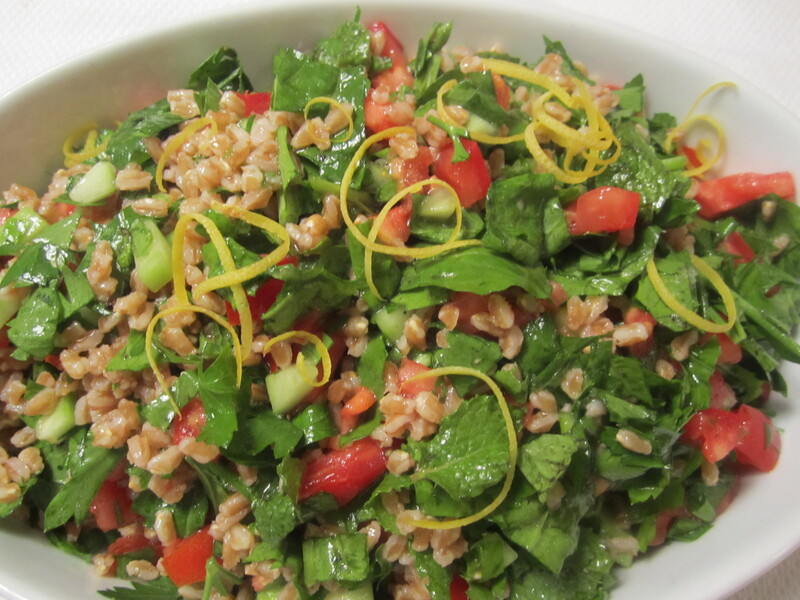 I have some great local arugula, which is the predominant green in the salad. In addition, I use lots of coarsely chopped parsley and mint. 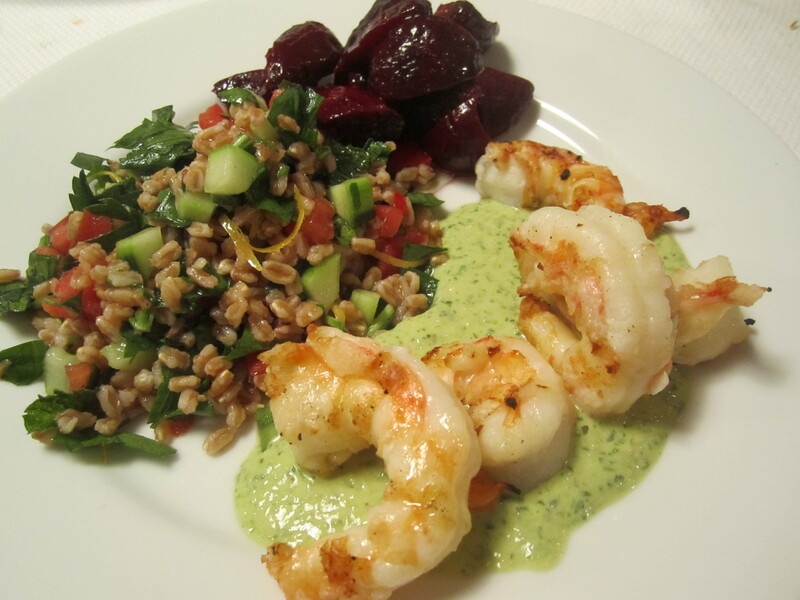 The entire dish is dressed with lots of lemon juice and olive oil. Tonight, we have leftover salsa verde from the other evening. 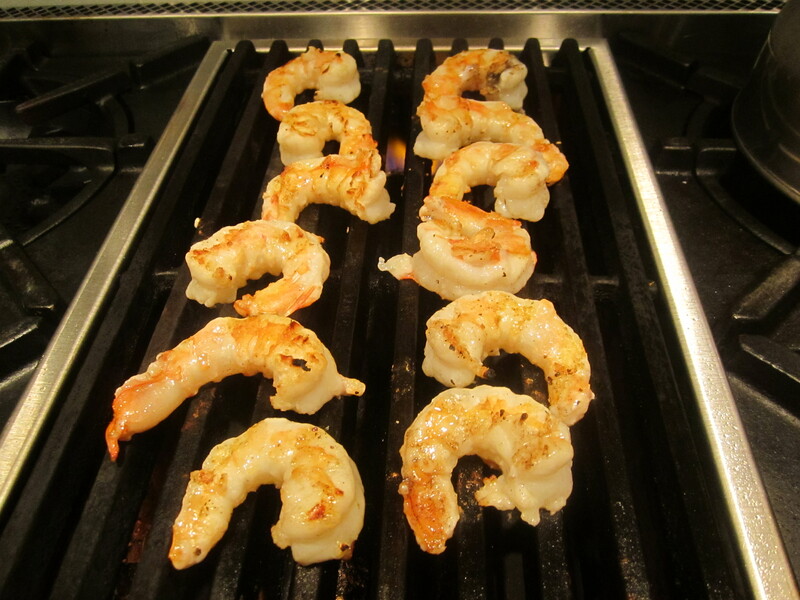 I’ve decided to grill some nice plump shrimp and use the salsa verde as a sauce for the shrimp. An additional side dish this evening was provided by my neighbor Beppi. 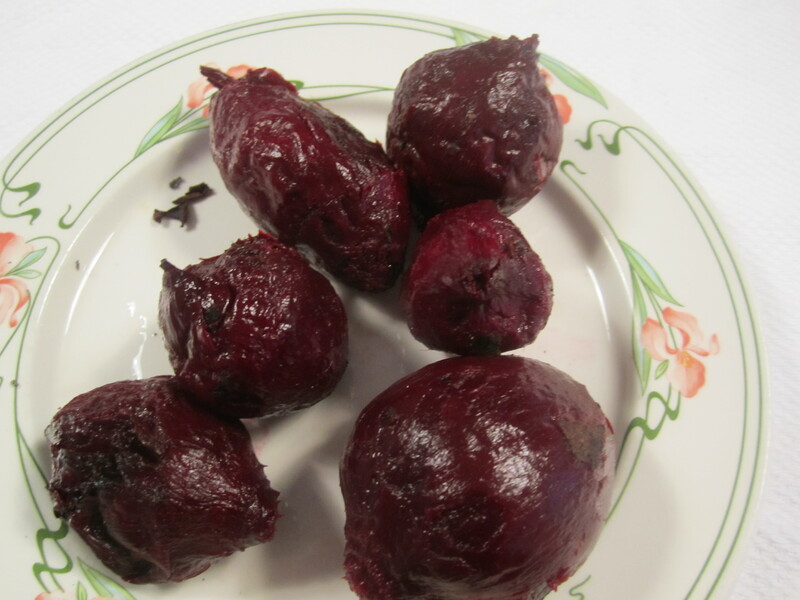 He’s just harvested the last of the beets from his garden and brought them to me already roasted. These will be perfect on the plate with the tabbouleh and salsa verde. This dinner is the perfect light summer meal which will make excellent use of my leftover salsa verde. 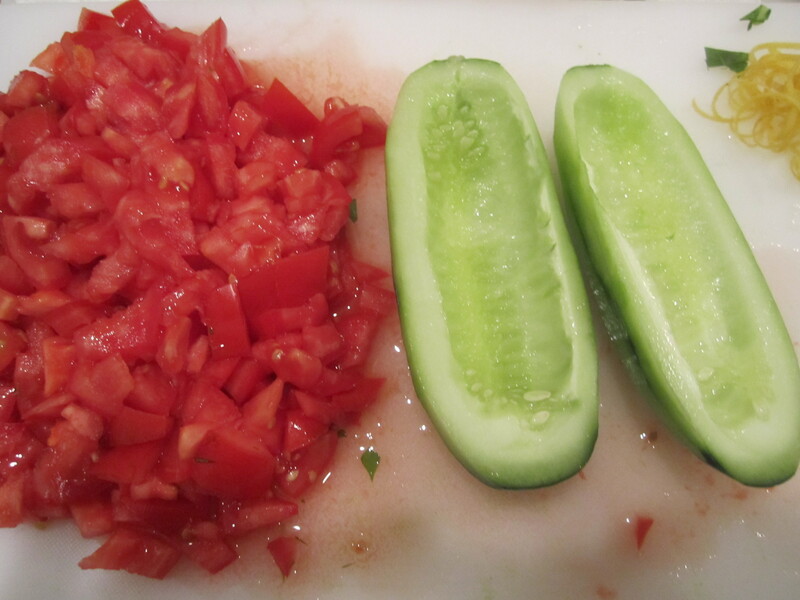 Chop the tomatoes and remove seeds from cucumber by slicing in half lengthwise and scooping out seeds with a spoon. Chop cucumber into 1/2″ dice. Keeps well for a few days in the fridge (although the mint will blacken).